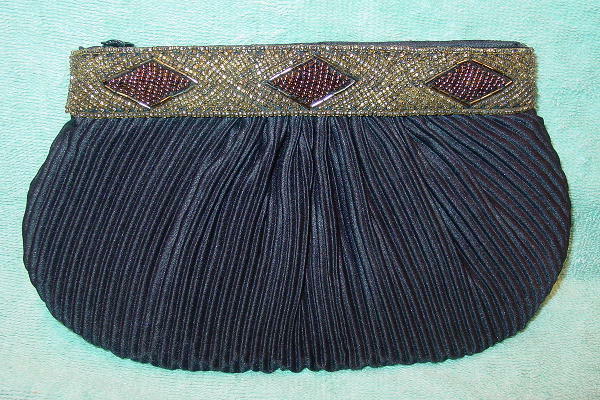 This vintage black fabric evening purse has a vertical high-low gathered black fabric exterior with a 1" wide beaded top. There is a top side to side zipper and a black fabric peau de soie type lining. There is a black open interior pocket. 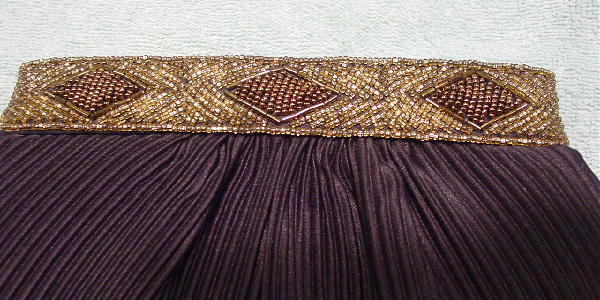 The beads are in copper, bronze, and silver-tone. It's from a former Hungarian model.